Say ‘Hello’ to THE DEPARTMENT OF MAKING + DOING. Public Workshop, Breadboard, and The Hacktory with the incredible support of NextFab Studio are combining forces to launch a civic innovation workshop and STEAM (Science-Technology-Engineering-Arts-Mathematics) laboratory in Philadelphia. To be housed in NextFab’s original facilities at the University City Science Center in West Philadelphia, this unique collaboration and space will allow the four organizations to connect unprecedented skills, tools, and ideas to incubate innovative civic solutions and engaging educational programming with diverse communities in Philadelphia. 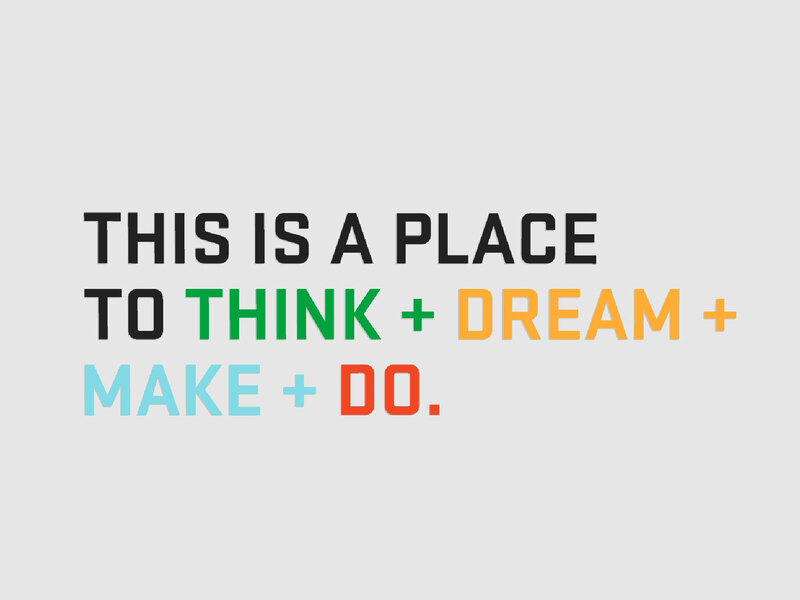 The civic tinkering space and collaborative programming will be collectively known as The Department of Making + Doing. When it opens to the public this fall, the space and its diverse programming will also be a tremendous resource to schools, communities, and other civic innovators in Philadelphia. The ‘city’ is the classroom and laboratory of the 21st century, and The Department of Making + Doing—with its unique facilities and expertise—will serve as an important place for young and old to work together to creatively address Philadelphia’s challenges. For Public Workshop, these incredible partners and facilities—including having access to NextFAB Studio’s new 21,000 square foot location at 20th and Washington, opening in October 2012—will be valuable assets for current and future endeavors, including TinyWPA, the Citizen Scientist Project, and working to create innovative participatory design and learning tools such as, Place Tags, chocolate cake masterplanning, and Build It! Discs. In short, The Department of Making + Doing is an important part of Public Workshop’s efforts to make Philadelphia THE national model for how we meaningfully engage youth in the design of their cities. Although it will still be a few months before everything is fully up and running, the paperwork has been completed and the organizations couldn’t wait to share this exciting news. Incredible thanks goes to Dan Schimmel at Breadboard and Evan Malone at NextFAB for presenting the initial opportunity to Public Workshop and The Hacktory. Want to learn more about the four organizations?